Rob Kardashian’s fiancée, Blac Chyna, has revealed that she is walking regularly for her pregnancy workout and following a clean-eating diet. The soon-to-be Kardashian posted her workout routine, which involved some weight lifting, on Snapchat. She also said that she will be eating better to further her fitness efforts. Chyna has previously stated that she intends to gain 100 pounds while pregnant. She recently disclosed that she had gained 48 pounds so far and that her goal weight post-baby is 130 – she weighed 135 pounds before getting pregnant. Chyna may be following in her future family’s footsteps as she has admitted that her fitness routine consists of waist training and tea detoxing, along with workouts (the Kardashian girls are notorious for promoting waist trainers and detox tea). Rob Kardashian has also been on an upward and downward battle with the scale. The reality star was diagnosed with diabetes last year, which really lit the fire under him to get serious about his health. He admitted that he dropped 30 pounds fairly quickly, but then gained 20 pounds of it back. He and Chyna have been very open about their plans to work out and eat well together. Rob currently weighs 285 pounds, but his goal is to get down to 210. Although he is focused on losing weight, he does find it difficult to eat well when Chyna is around. He says his pregnant bride-to-be eats whatever she wants and he enjoys eating with her. Maybe now that Chyna has turned over a new, healthier leaf, the couple can have greater success in their weight loss journey. Chyna has been documenting her new-found fitness journey as she continues on with her pregnancy – she is due in October. The star has repeatedly taken to Snapchat to not only reveal her workout gear-clad baby bump, but also to showcase her steep-incline treadmill routine. Furthermore, she has noted that her change in exercise and diet has already resulted in weight loss (which will help keep her on track toward her post-baby goal weight). Clearly Chyna is excited about the positive changes she has made in her life and wants the rest of the world to know. 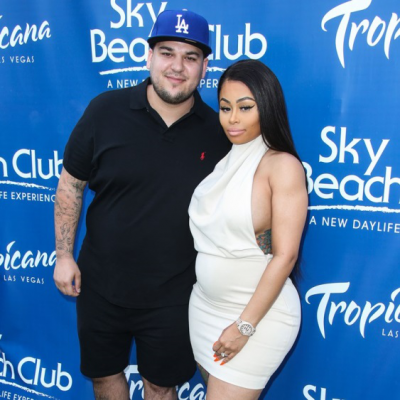 In order to achieve her goals, it seems Blac Chyna will continue to work hard on her fitness and clean eating regimen until the baby’s arrival. As long as Rob Kardashian follows suit, he can very well reach his own goals, too. They are basically in the home stretch; now it’s more important than ever to stay committed to a healthy lifestyle because having a baby can change all that. In the meantime, we’re sure Chyna will continue to keep us all updated on her success and journey through Snapchat. 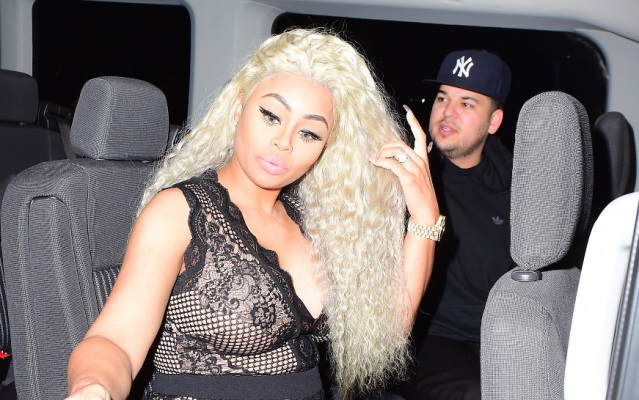 Lemoncelli, J., “Rob Kardashian reveals his current weight – find out how his improved fitness is going,” Hollywood Life, August 31, 2016; http://hollywoodlife.com/2016/08/31/rob-kardashian-weight-fitness-current-285-pounds-blac-chyna-interview/, last accessed August 31, 2016.